They may start out in little cocoons but before you know it you’ll have an army of pollinating warriors for your garden! Choose your bee species according to your needs! 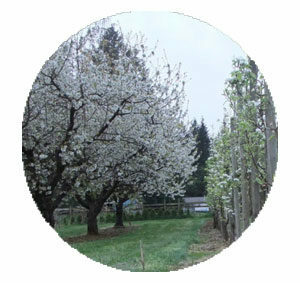 If you want fruit trees and blueberries blossoms to be pollinated in spring. Mason bees are the bees for you. With our awesome Beediverse Viewing home, watch bees inside each nesting tunnel. Watch while they work in spring, develop into adults through the summer and become cocoons in the fall. Start witnessing nesting activities and be part of a whole new mason bee experience. If you want pollinators for summer blooms such as tomato and other vegetable blossoms, then we suggest Leafcutter bees. The benefits of having MASON BEES is more fruit and larger fruit. It is an early spring pollinator that has the ability to fly in cool temperatures. 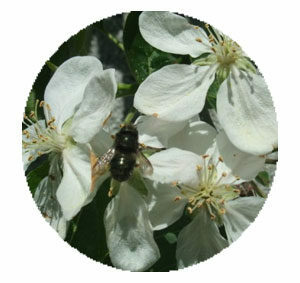 This fact makes mason bees the perfect candidate for pollinating early spring blossoms such as apple, peach and pear. Mason bees also fly close to home (within 500 ft/ half a km) and pollinate all flowers present in the vicinity. 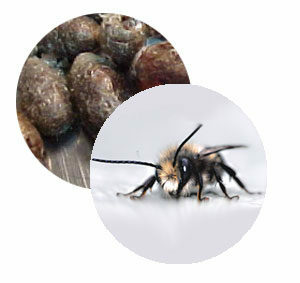 A bee home plus mason bee cocoons is the easy way to get started with these friendly beneficial bees. Pollination is an essential factor for your farm to produce more fruit, better quality fruit and larger fruit. Mason bees are capable of flying in a cool temperatures providing early pollination to blueberry, peach, plum, pear, apple and almond. In addition, mason bees pollinate flowers close to their nests ensuring your crop is pollinated rather then flowers elsewhere. Mason bees are also very easy to manage. Start by placing BeeDiverse bee homes and mason bees at your farm and benefit with a good fruit crop. Keep your bees safe and sound with our uniquely designed tools and accessory selection. 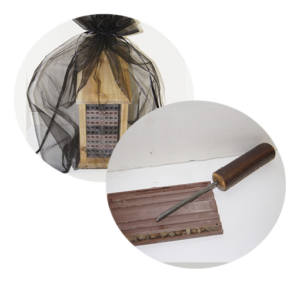 Perfect as gifts for the gardener who keeps mason bees and or leafcutter bees. A castle fit for a king? Or queen? How about a couple dozen kings and queens?! Our crafted Bee Homes are produced from beautiful west coast red-cedar. We believe in ‘close to home’. 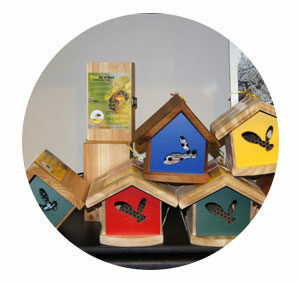 Bee homes are assembled by Beediverse. 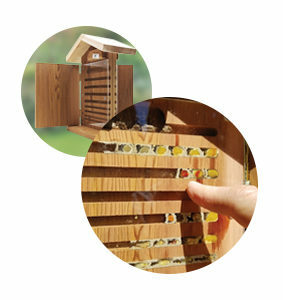 Mason Bee homes have been designed with a science background and fortified with all the elements required for a successful solitary bee keeping experience. “Welcome to Beediverse. 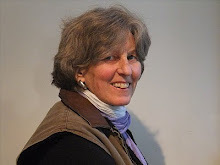 You can click on my name (above) for a short video introducing Beediverse. 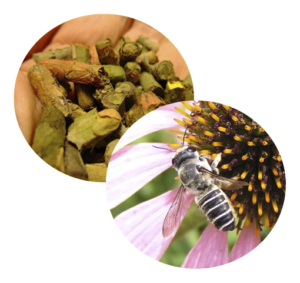 Beediverse is all about mason bees and other pollinators. I have developed a successful method of managing mason bees that keeps them healthy and producing year after year. With this in mind, I designed a line of products for gardeners so that they can keep mason bees with success. For How-to information on mason bee I wrote my popular book “Pollination with Mason bees”. Sold to date: 23,000. A great way to start with this fun hobby is with a bee home, a book and mason bees.